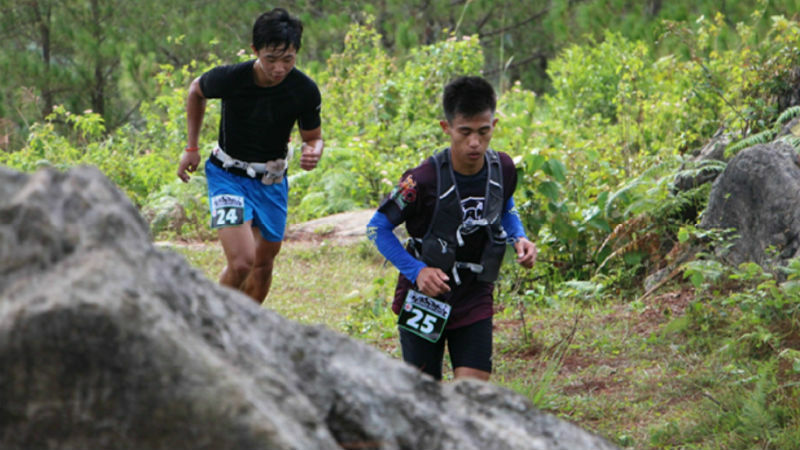 Bontoc, Mountain Province – Charlie Guzman and Marcelina Ongan led 49 runners who braved the steep and winding mountain trail of the “Blood Run 2018” last July 1, 2018 in this capital town. 46 years old and above category, women: Irene Baltan-1st and Maria Wanchakan, 2nd; men: Mario Cawed-1st and Dale Marrero-2nd ; and Special awards were given to Francis Degay and Kiran Cadchan as the oldest and youngest runners, respectively. According to Robert Pangod, head of the Philippine Red Cross (PRC)-Mountain Province Chapter, the proceeds of the run will be used to supplement the cost of processing blood that will be given to indigent patients. Pangod narrated that PRC has a Blood Samaritan program that support impoverished patients who seek financial donations from individuals and groups. Hence, the latter may organize some events such as walk, run or bike for cause to promote health awareness to participants and at the same time raise funds for the needy patients. It is recalled that the late governor Leonard Mayaen started to provide financial aid to the PRC-Mountain Province the sum of P500,000.00 per year for its operational expenses in 2015. Governor Bonifacio Lacwasan, Jr., who succeeded Mayaen, who died during the 2016 campaign period, continued to allocate the same amount for the operation of the local PRC chapter. The Provincial Disaster Risk and Reduction Management Office of Mountain Province allocated another P200,000.00 financial aid for the purchase of additional equipment for the blood bank of the local chapter. Mayor Franklin Odsey of Bontoc vowed to continue providing financial assistance in the amount of P70,000.00 per annum for the operation of the chapter and blood bank that commenced in 2016.